Nicole has spent over 10 years in the nonprofit, government and social sector with specific focus on strategies that incorporate inclusion, collaboration, and high-quality services. Her work has helped address challenges faced by social service systems, organizations, and professionals to improve services for people across a range of diversities and identities. More recently, she has begun working with corporate organizations to support organizational improvement initiatives, including addressing structures that create disengaging work environments. Nicole provides consulting, coaching and training on overcoming challenges and improving programs, services and organizations at multiple levels. Her work has helped equip professionals and organizations with the tools and strategies needed to best serve others and create equitable environments. She has worked in a variety of locations and settings, from small nonprofits and tribal communities to statewide organizations, large government systems and international corporations. Nicole is a Founder of the Health Youth Partnership, an organization designed to provide training and development to social service and healthcare professionals. She is also the co-founder of a local Diversity Leadership Conference for youth and adults in Austin, Texas. She is the co-author of EngenderHealth’s Native Youth Adaptation Manual- a guide for creating cultural inclusion into curriculum-based programs and the co-developer of the second edition of the We R Native health curriculum. Through her work in creating inclusion and honoring diversity in youth and health services, she has provided training, development and coaching to professionals and executives across the world to develop their openness and skills for inclusive work. Mandy Ackerman, LMSW, MPH, has over 7 years of experience working in areas including, sexual reproductive health, health promotion intervention and youth development and education. Mandy's work centers around program development and evaluation, instilling cultural inclusivity into health interventions, grant writing, and aligning needs to program strategies. She currently serves as a Health Promotion Coordinator at the University of Texas at Austin, where she develops, oversees and evaluates various campus public health initiatives aimed at improving the health and wellness of students, staff and faculty. Additionally, Mandy serves as a Professional Development Coordinator for the Healthy Youth Partnership, a local community collaboration, managing the planning, logistics and coordination of professional development opportunities for youth-serving professionals in Central Texas. In her spare time, Mandy provides community mentoring and art lessons to area youth. Haile Eshe Cole has centered her personal, professional, and academic career on issues of racial equity, culture, and social justice. She received her PhD in Cultural Anthropology at The University of Texas at Austin with a concentration in African Diaspora Studies and a portfolio in Women and Gender Studies. She is currently a Visiting Assistant Professor at Amherst College. Over the years, Haile has conducted research on the impacts of race and mass incarceration on families, mothers, and children of color as well as the connections between race and maternal and infant health disparities in the United States. For almost 10 years, Haile worked in the community with a grassroots collective of mothers in Austin, TX where she lobbied for legislative change, collected surveys and data in collaboration with the Institute of Urban Policy and Analysis (IUPRA) at the University of Texas, and planned fundraisers, trainings, and local community events. She has served as a trained community educator and has developed and facilitated several community education groups and supported organizations to develop key partnerships. Haile specializes in topics pertaining to community education, cultural humility, and equity and as a consultant for various organizations including nonprofits, public health departments, and local, state, and federal government entities and has contributed skills such as grant writing, research and report writing, program development, implementation, and management, training and curriculum development, monitoring and evaluation, capacity building assistance, and cultural adaptation training. Alda has more than 10 years of professional experience in program design, implementation, execution, and management, including educational components with a focus on equity and social justice to improve the overall health of communities. By improving health outcomes, Alda’s work has impacted other social indicators affecting equity. Her work values strategic partnerships, as they lead to a long-term investment in the sustainability of initiatives and programs. Alda has worked with public, private, and government entities to deliver programs that leverage community and organizational assets. During the course of her professional career, Alda has developed curricula and facilitated innumerable trainings reaching over 2,000 adults and adolescents. Alda’s training expertise often focuses on teaching strategies for implementing behavior change, which helps audiences to achieve positive, sustained outcomes. She incorporates a multifaceted understanding of different modalities of learning and communicates across diverse populations. Currently, she trains, coaches, and provides technical assistance to health administrators and physicians to improve quality of services with an emphasis on establishing policies and practices that ensure equitable access for historically underserved communities. Alda is a founding member of the Travis County Adolescent Health Collaborative, which she currently co-leads. The Collaborative strives to support youth through equity practices. 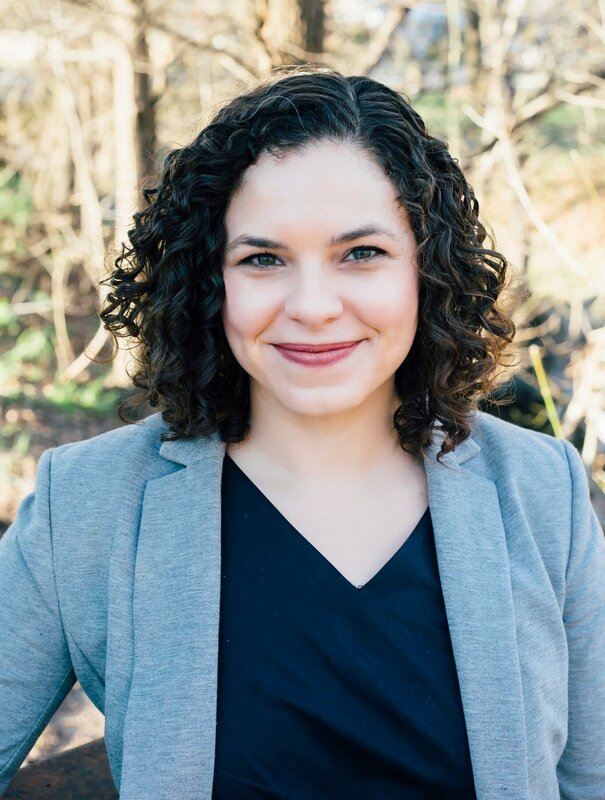 Jina Sorensen has over seven years’ experience in public health and social services program design, monitoring, and evaluation; training and technical assistance; and grant writing. She holds a Master of Education degree in Health Behavior and Health Education from The University of Texas at Austin, dual Bachelor degrees in Nutrition Science and Human Physiology from the University of Minnesota, and is a Certified Health Education Specialist (CHES). Previously, Jina was the co-Principal Investigator for a quantitative and qualitative study of a professional development and leadership program for young parents. She also has extensive experience in knowledge management and data for decision making processes. Nicole Trevino Consulting is a small consulting business specializing in nonprofit and social sector consulting, training and leadership coaching. We are committed to offering highly customized services with a focus on quality and aligning needs to strategies.